For the past month, supermarkets and major stores have been competing to have the best Christmas advert. Initially it was a close race, what with a young Elton being gifted a piano, and Kevin the Carrot leaving us all on a (very literal) cliff hanger. 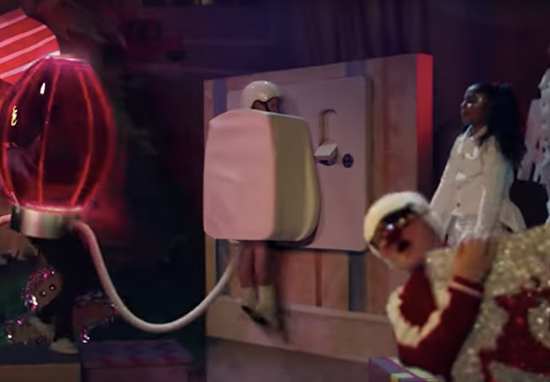 But then, ‘plug boy’ appeared and exceeded all of our Christmas expectations. The little boy, taking part in his school nativity in the Sainsbury’s advert, launches himself into a plug socket while dressed as a plug. So simple, yet so effective. And so satisfying! Plug boy, aka 10-year-old Harrison Wilmot, stole the show and won the hearts of the nation in his stand-out role as ‘the plug’. But it seems some people weren’t won over by his performance, as the Advertising Standards Authority (ASA) revealed it’s received 35 complaints regarding health and safety fears. As reported by the Metro, the complaints come from people who fear children will copy the boy in the advert and play with plug sockets. The ASA said it’s currently looking into the complaints, however it’s not known yet whether an investigation will be launched. And let me tell you, people are not happy about it. Many have taken to social media to express their disgust at the complaints. To be honest, I don’t blame them. The little boy is obviously having the time of his life and is clearly following health and safety procedures – he’s even wearing a helmet! If someone has an issue with #PlugBoy and the Sainsbury’s advert then I think they generally just have an issue with life. If we can’t even have a laugh about a kid dressing up as a plug in a Christmas nativity, then I think we’ve gone too far. Next you’ll be telling me we can’t have Nativity’s at all!